Looking at the present time,India's banking financial sector and insurance sector will provide employment to nearly 20 lakh youth in the coming years and by doing so,India's BFSI will become the world's third largest sector in the Volume and Employment.In such a situation the student who is interested in making a career in the banking sector is the best opportunity.There are many career options in the field of banking,one of them is NRI Banking.NRI Banking involves provision of banking services to NRI customers. NRI bankers always in demand in government and private banks.An NRI banker provides the services to the NRI customers of the bank.He collaborates in the process of getting loans and investing.NRI banker provides information about the fluctuation in the services such as Interest Rate,Exchange rate etc. 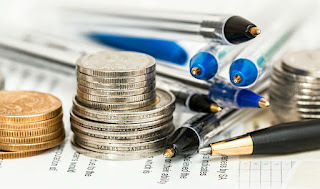 In order to pursue career in NRI Banking,the candidate can complete PG Diploma in Banking and Finance after completing Graduation from any field.It is a 1 year course in which subjects such as banking operations,finance management,trade finance are taught.In this course,students are given the basic knowledge of computer and software as well as how the business communication and stock market works. Graduation students and graduates from any stream can apply for PG diploma in Banking and Finance courses of last year and can take their first steps towards becoming NRI Banker.For this course,the student must have graduation with 50% marks from any stream. You can get 30 to 35 thousand monthly comfortably in the beginning and your salaries increase along with the growing experience.